Posted by Sarah & filed under Random Low Carb. 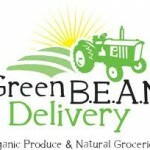 Has anyone heard of Green BEAN delivery? 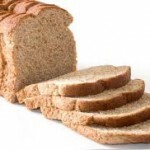 it is an awesome LOCAL organic food delivery service in the Midwest area. I am very excited to get my first Green bean box and try it out look out for some new recipes! check out what they offer here! 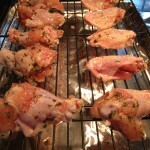 Posted by Sarah & filed under Random Low Carb, Really fast and easy!, Snacks, Toddler & Kids. 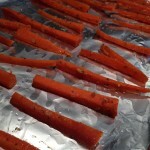 Carrot “Fries” Healthy French Fries! YAY! Posted by Sarah & filed under Random Low Carb, Sides, Snacks. How To “FAKE” deep fry anything. A Healthy Alternative! 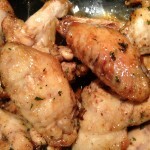 Asian Sweet Teriyaki Wings CRISPY and AWESOME! 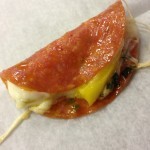 Posted by Sarah & filed under Dinner, Random Low Carb. It’s Girl scout cookie time! 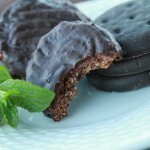 Try these Low Carb Thin Mints. YUM! 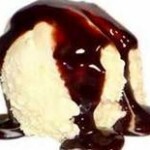 Posted by Sarah & filed under low carb dessert, Random Low Carb. I was “scouting” for good girl scout cookie recipe and came across this one. I will certainly be trying these instead of buying a box this year. Sorry Girl Scouts. Cute Low Carb Party Idea! Posted by Sarah & filed under Random Low Carb, Snacks. Take a ball of any soft cheese and add whole pecans.. Shape into a “pinecone” and add the pecans. 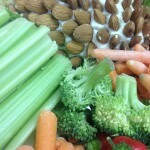 add raw veggies instead of crackers and you have a great veggie and cheese tray! Craving Sweets and Sugar? Here is why! ashley on Low Carb Pumpkin Pie Pancakes… Better than Donuts! Kim on Low Carb Breakfast Muffin ENERGIZE this morning!